Sorry to to draw you in with a catchy title, but this post should be entitled “Say It Ain’t So Greg”. I think you’ll agree, “Say It Ain’t So Joe” has a better ring to it than “Say IT Ain’t So Greg”, but alas I am not writing about any ordinary “Joe”, but Greg Laurie. More specifically I am writing concerning a prayer he posted on Facebook less than three weeks ago. Let me preface my remarks by saying, I love Greg Laurie, believe him to be a godly man and minister of the gospel, and have no gripe with what he preaches. In fact, I pray God will continue to bless Greg’s efforts to win the lost and disciple Christ’s church. That being said, he needs to be careful, in what he communicates, same as any leader in Christ’s church; because our words (even if only slightly off), can have a huge and negative influence. 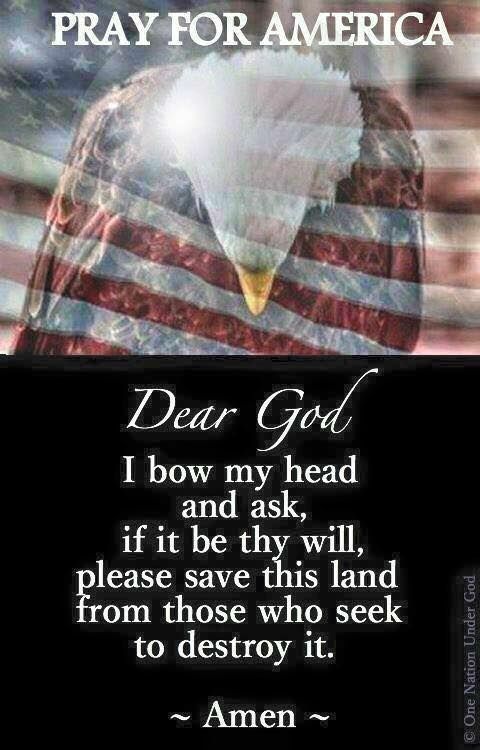 Amen, I agree with the need for God to awaken America. This nation as a whole needs to see itself in light of the holiness of God; being awakened to its sin. The church also needs to be awakened to its apathy and spiritual negligence concerning the Great Commission and our call to be holy. The church needs to be awakened like the Church in Ephesus who left its first love (Jesus) (Ephesians 5:13-17; Revelation 2:1-7). In spite of my agreement on this point, Laurie’s prayer for protection, often works counter to the request for awakening. Consider the report of Syrian Christians, whom began praying for revival over ten years ago. Back at that time, Syria, although a Muslim majority country, was perhaps the safest middle eastern nation, in which Christians could live. In fact the Assad government, went out of their way to protect Christians. In that environment, Syrian Church leaders realized the body of Christ was becoming apathetic and nominal. They began to pray for revival, and God answered their prayer. Yet this revival did not come through protection or a mass evangelistic movement; but a bloody civil war, that left the country open to the ISIS invasion, with all its brutality. Not only did the church have to deal with deprivation they had seldom even considered, they now had to live their faith, with the risk of literally dying for Jesus daily. It is for this reason we examine our brother’s words. Does he realize that the awakening of a nation to God, often means suffering for the Christian in it? Probably not! That is why his words don’t arise from a desire for awakening, at least in the first place. They rise from a fear of losing our way of life, of potential pain and suffering. This fear has grown in the relative prosperity of America, where the church is often spiritually flabby and avoids suffering at all costs. It is as if we believe God should never allow the terrible stuff happening around the world to happen in America. This may be arising from the error prone view of the U.S. being a “Christian” nation. Even before Greg Laurie’s Facebook prayer, another godly church leader, whom I respect, wrote of their frustration at why God would allow Texans to suffer from hurricane Harvey. Below is the quote from Anne Graham Lotz. Her questions have answers to them, but how they are asked appears to be an indictment against God, as if He ought to stop Harvey because the storm is destroying American lives and property. The better question for our sister, is where was her outcry to God on Facebook the week before the storm hit Texas, where it was killing hundreds in the Caribbean, and Cuba? Here silence concerning those lives is also ringing through the prayer for the protection of America from Greg Laurie. The simple answer is that their potential pain and suffering, does not directly affect our way of life and livelihood. Therefore their pain is simply not important. It is possible you may think this is too harsh a judgment on both Lotz and Laurie, but is it? While looking at their Facebook pages the two previous days (Sept 20 and 21), there have been no anguished prayers to God for the suffering of the people of Mexico City, where school children are still trapped in crumbling buildings. There have been no pleas for assistance (or prayer for protection) for the citizens of Puerto Rico, where in one day a hurricane killed 15 people, cut off all electricity and the island off from most forms of aide. Sadly on Greg Laurie’s page, you’ll find a steady stream of selfie like photos and promos, as he promotes his new book on the conversion of Steve McQueen. We see this trend to ignore or even neglect the suffering of others, when in fear or focused on our own agenda’s, in a group of “spiritual advisers” to the president. This group of evangelical leaders with “Oval Office” access, laud the president’s agenda and defend him at times of media “attack”, yet say nothing of his duplicity. 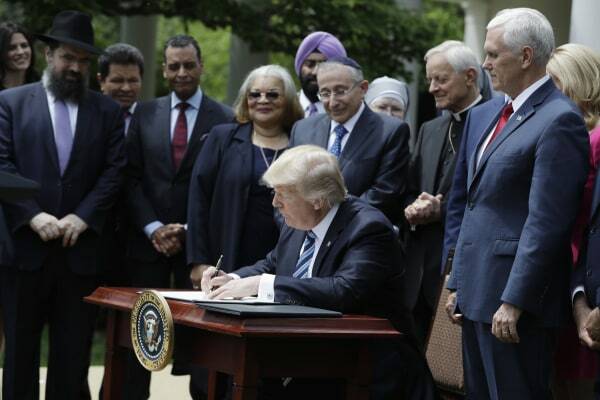 Consider the presidents executive order, signed on May 4th 2017, to allow religious organizations greater freedom in political speech. Evangelical leaders praised him for this action. This executive order was a nice photo opportunity, but rings hollow considering the president’s deepening partnership with India. The president has praised India’s prime minister Modi, for buying American weaponry, and declared the U.S. Indian partnership has “never been stronger”. Yet India, as a nation (and especially their prime minister), is not only intolerant of anything not Hindu, but allows, foments and encourages terrible persecution of our Christian brother’s and sisters. Read any periodical concerning the persecuted church and find Christians in India facing horrific persecution. Make no mistake, the presidents actions are duplicitous. Its possible we have grown to accept this character flaw in politicians. Should we also except it in lives of Christian leaders? Why aren’t Christians leaders with “Oval Office” access, using their platform to advocate on behalf of our brothers and sisters in Christ in India; encouraging the president to avoid getting into bed with vile men and governments, who seek to destroy our brethren? Once more, the simple answer is pain and suffering of Christians in the nation of India does not directly affect our way of life and livelihood. Speaking up may also limit their access to the president. Therefore persecuted Christian’s pain is simply not as important as our need to stay close to political leaders. Friends this ought not be the our way, for it is the respecting of persons. It seems to me that a “Christian Nation” and godly leaders would not fall into such duplicity, error, or callousness. Once again this is an example of those called to be prophetic, becoming pathetic. We ought to demand more of those who would purport to be “spiritual advisers” to the president. We ought to demand more of ourselves, than prayer and actions that are narrowly focused around what is best for us. We need to remember that the kingdom of God is not Americans first, but the blessing of every nation, tribe and tongue before the Lamb of God (Revelation 7:9). To be oriented any other way is to be respecters of persons, which is a great sin in the sight of God, for any Christian (Romans 2:11; James 2). In my opinion, it is not likely God will continue to protect America indefinitely. This nation will have to answer at some point for the 60 million children savagely murdered in the womb. The blood of those precious babies will never be forgotten by their Maker, and will not go unpunished. Nor will the perversity that has poured forth from the American entertainment culture. Nor will the lives destroyed from illicit and pharmaceutical drugs, which dope the entire planet with addiction. Nor will the pollution of the souls of men, from every form of state sanctioned sexual immorality. God will not allow the rejection of the cross of Christ, from hundreds of millions of lost Americans to continue with no sanction. He will not ignore the denial of religious “Christian” Americans, who reject Jesus call to follow Him in righteous paths and walk with Him through the valley of the shadow of death. Our Father will not allow us to continue to think that being godly brings material gain and prosperity (I Timothy 6:5). Four super devastating and historic hurricanes made landfall; one on the western coast of Mexico. Two major earthquakes shook Mexico with loss of life; since late June has encountered an enormous quake storm; Japan shook just the other day . North Korean nuclear terror threats have increased, with catastrophic earth impacts. Coast to coast politically charged demonstration, with violence, fomenting more unrest; including Charlottesville Va. before the eclipse. Wild fires have torched the western states to the tune of millions of charred acres and loss of property and lives. My friends, God is not judging America yet. He is warning this nation’s people and people of other nations, to repent for the hour of Christ’s return draws near. It is time for000 the church to awaken and return to our first Love. It is time we refuse to put any confidence in the flesh, even if that flesh appeals to our preferences. It is time we prepare for the environment, in which revival will take place. Leaders must break from a narrow America first idea of life and ministry. We are children of God and ought to behave so. Lets begin today, living for Christ, like today is our last day on earth. Let us speak to the lost as if we will never get another opportunity. Let us love one another, as followers of Christ, as if we may not see each other again; this side of eternity with Jesus. Let us look to the example of Jesus, who in the suffering of His cross, still looked to serve others and praying… “Father forgive them for they know not what they do”. This entry was posted in Anne Graham Lotz, Greg Laurie, Myth of a Christian Nation, politics, Say it ain't so Joe, Uncategorized, Why does God allow suffering. Bookmark the permalink. 1 Response to Say It Ain’t So Joe!